My late father used to say, "Insurance is something you can never get enough of, but hope you never have to use." Last week I wrote about why personal health insurance is so high; today I thought I'd give you some tips on buying homeowners and car insurance. With homeowners insurance, there are things you can do to your home to save on insurance premiums. These are obvious things, such as having an alarm system and deadbolts on the doors (these are locks where you need to use a key on both sides.) Deadbolts are especially critical where the door has glass, as an unwanted intruder can simply break the glass, reach in and unlatch the door lock. With deadbolts it's important that you keep a key near the door in case of an emergency and you don't have your keys with you, you can exit easily. Speaking of emergencies, keeping fire extinguishers in the kitchen and other areas where a fire could break out is also important and will save you on homeowners insurance. And, of course, increasing the deductible you would pay in the event of a loss will also help lower the cost of your homeowners insurance premiums. Increasing the deductible on your car insurance is the best way to save on car insurance premiums. By increasing the deductible from $500 to $1,000 you could save that $500 difference in yearly premiums, which would pay for itself should you get in an accident and have to use your insurance. If you're a safe driver, and haven't been involved in an accident in a long time, perhaps this is something you should consider. If you drive an old car, check the value at Kelley Blue Book; if your car is old with over 80,000 miles, the cost to repair it could be more than the value of the car and you might want to consider dropping collision altogether. The amount the insurance company pays is limited to the value of your car, less the deductible, of course. Also, if you don't drive a lot, tell your insurance agent. If you drive less than 7,000 miles a year, you may be able to get a discount on your auto insurance. Last, but not least, by combining homeowners and car insurance with the same carrier you will save on premmiums as well; everybody likes loyalty. 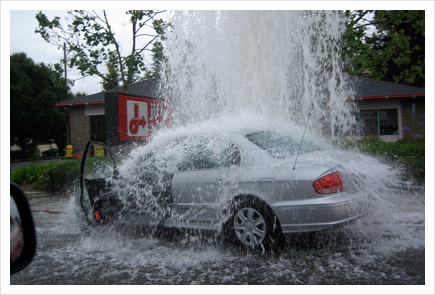 So, don't you think you might want to check out your homeowners and car insurance policies?